Over a hundred bikers on blinkers took to the City and Dauis streets to campaign for the commemoration and advancement of the global Earth Hour event. But as organizers expected to see a load reduction for entire Bohol between 8:30 to way past 10:00 PM go down, with hundreds opting to turn off their appliances and gadgets for the three hour bike ride, the reduction noted in Bohol was too minimal compared to its island neighbors sharing the Visayas Grid. The data however is unofficial, in a sense that it did not come from the National Grid Corporation of the Philippines (NGCP) which monitors the grids for power consumption monitoring. But, Department of Energy’s Energy Industry Management Division chief Jorey Maleza, who has been tracking the raw data from the NGCP, in a phone conversation said that the load reduction in the Visayas, reached a sizable 31.43 megawatts (MW). This, he added, did not immediately register at 8:30, when Earth Hour organizers called for people to switch off their lights and appliances for an hour at least. The load reduction came in a few minutes later, a fact that he said could be the difference in time synchronization among consumers. In his monitoring, he said the load reduction all over Visayas was recorded at 8:35 and onwards, which he said could be because after switching off at 8:30, and on a weekend, most people possibly went on to sleep without waiting for the one hour to lapse. In his post in his social media account, Engr. Maleza said the total load reduction in the Visayas Grid is broken down as follows: Cebu at 11.12MW, Negros at 5.40MW, Panay at 7.81MW and Samar Leyte at 12.97MW. Bohol, where there are several self-proclaimed environmentalists who have been so vocal against coal as energy source turned out to have a load reduction of only 0.16MW. This too as Earth Hour 2019 Bohol Bike Ride participants hardly noticed houses along the 24 kilometer road traversed, which turned off or kept their lights to a dim. When major cities and country’s iconic monuments turned off or dimmed their lights for the Earth Hour, Bohol Earth Hour Riders noted at least four major events in the 24 kilometer circuit that featured blazing lights and power zapping sound systems. There was even a fireworks display in one, that environmentalists have openly been very vocal about. Fireworks cause extensive air pollution in a short amount of time, leaving metal particles, dangerous toxins, harmful chemicals and smoke in the air for hours and days. Some of the toxins never fully decompose or disintegrate, but rather hang around in the environment, poisoning all they come into contact with, according to terrapass.com. Along the bike route was a political proclamation rally at the City Square, another political proclamation rally in Dauis, a pre-fiesta event in Bool and a roadside concert along JA Clarin, all within the 8:30-9:30 Earth Hour observance. There is however some breath of fresh air with the 2019 Earth Hour Bike Ride, organizer Jude Ybas noted. From the usual 16-18 kilometers, this year, Earth Hour Ride 2019 organizers opted for the 24 kilometers which pedaled off from the Tagbilaran City Hall open park at about 6:30 and returned to completed the loop at about 10:30 PM. In the previous Earth Hours load reductions, the DOE engineer said in 2018, the load reduction was 49.38 MW, in 2017, 44 MW and in 2016, 29.8 MW, across the Visayas. For Bohol, in 2018, its reduction was 1.47MW; in 2017, 2MW and in 2016, 0.3MW. 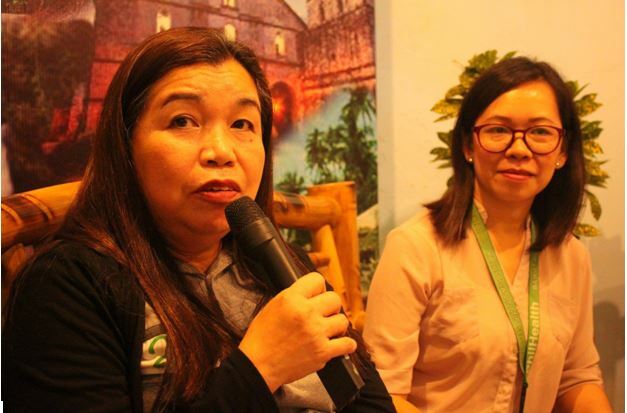 Governor Edgar Chatto brings the issue of a tourism area’s carrying capacity anew as Bohol tourism stakeholders gathered for the Forum on Sustainable Tourism: Bridging the gaps between standards, legislation and practices, March 28 at the Reynas Garden, Tagbilaran City. Carrying capacity, a critical consideration in sustainability, is the maximum number of individuals that can be accommodated in an area without significantly affecting the state of the environment, the level of the visitor’s satisfaction and the local culture. According to former research and project officer of the Department of Tourism and a professor of the University of the Philippines Institute of Tourism Carlos Libosada Jr., the issue on carrying capacity can even be categorized into environmental and social. Environmental carrying capacity takes into consideration the impacts tourism brings in an area and may include waste generation, food and water consumption as well as the physical effects of over presence of people in a hiking trail that could cause soil erosion. 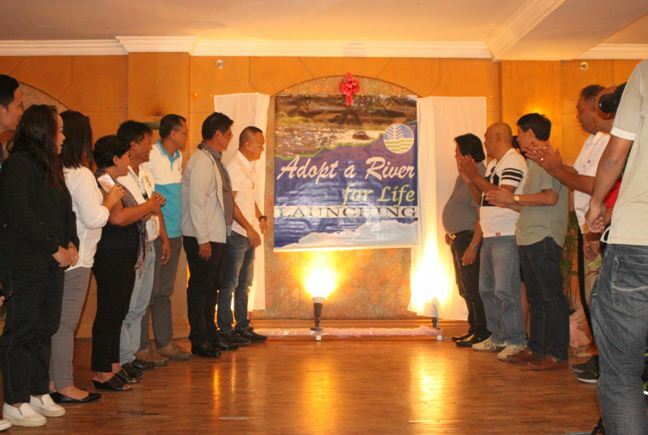 Ever since Bohol started to be a known tourism destination, local leaders have been pressing for the agriculture sector to fill in the food production gap considering that, at present, tourism arrivals in Bohol has almost equaled the local population, while the local food production has since been insufficient. Carrying capacity also considers the wildlife resources that may be affected by the huge groups coming in, like the tarsiers for example. Moreover, certain animals have adverse reactions to human presence, like in birdwatching sites. On the other hand, social carrying capacity is the actual number of people who can truly enjoy a destination or activity, without having to be rushed because another big group is coming. Considering the following and the technical know-how needed for the local government units so they can impose carrying capacity limitations in areas considered eco-cultural tourism, and the resources needed to generate these studies, Chatto shared an idea during the forum. When carrying capacity studies entail huge resources which local governments may not necessarily have, the governor suggested that the DOT, Department of Environment and Natural Resources and the Department of Interior and Local Government to pilot select provinces and destinations and identify tourism areas needing the studies, so that the national government can fund the studies and hopefully present to local stakeholders the figures to maintain a sustainable destination. Also among the gaps which the stakeholders discussed for potential solutions are the transport accreditation problems, hotel and restaurant accreditations, and tourism workers and stakeholder accreditation in line with the Tourism Code. Also discussed during the forum was DENR programs on ecotourism and Protected Areas as well as Cave management, Transport Franchising programs, Environmental Laws and the compliance of tourism establishments and updates on maritime safety and Security Programs for Sustainable Tourism. 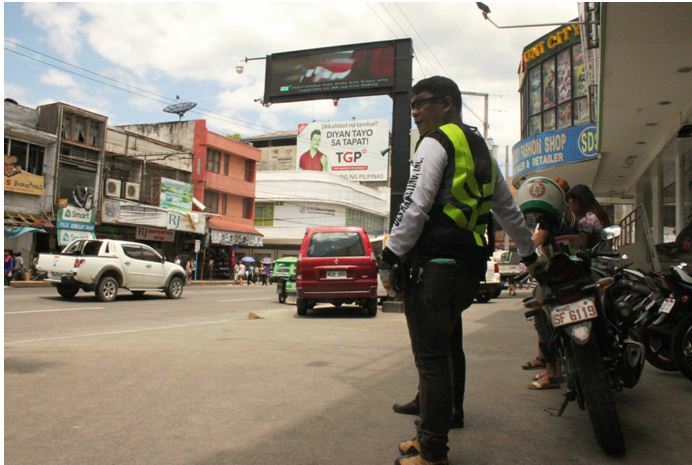 The Land Transportation Office in Region 7 gives a new meaning to the government drive to give inclusive services to its constituents in its e-patrols. 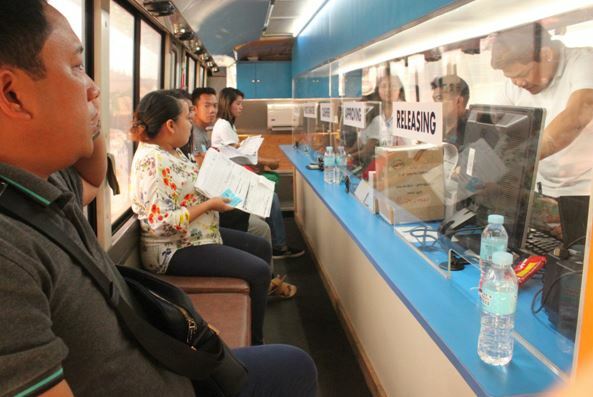 Facing the problem of clogged transactions due to limited district offices which are also cramped by backlogs, the LTO 7 puts up its own version of a mobile service through its outreach off-site service licensing and renewal operations in Bohol. Launched in Panglao, February 18, the e-patrol is comprised of an air-conditioned bus loaded with a mini office complete with counters for documentary processes, plus a complimentary support of LTO staff handling out application forms, doctors to issue medical certificates, insurance providers, and a police clearance booth so those intending to have their LTO transactions can be served. LTO 7 Regional Director Victor Caindec said they are putting up the e-patrol outreach in Region 7 to get to the most number of people who have been stumped at the sheer number of clients and the waiting time there at district officers. Now slowly cutting their backlogs through the use of offsite printing offices to decongest the clients, five-year validity for licenses to cut on the number of renewals, but it still has other services including the decades old backlog in vehicle plates and other transactions. We have to thank Mayor Nila Montero for inviting us to come, Caindec who led the regional team told the modest crowd of applicants gathered at the town gym. Montero arranged for the team’s billeting and accommodations in the town, a huge cost that the LTO could not singlehandedly afford, the LTO 7 chief added. Before the program, a simple ribbon cutting ensued and the transactions started, only to be momentarily cut to give in to the program. This morning, all of you would be served. You just have to be patient, this won’t take long. Patience is a virtue drivers ought to have now-adays. Without practicing it, many people can get into sticky situations, and tempers can flare, Caindec said as he delivered a message during the opening program. He said, after serving Panglao, the LTO e-patrol outreach program drives to Garcia Hernandez and then off to major Bohol town hubs. Through Cabinet Secretary LeoncioEvasco and Special Assistant to the President Bong Go, we were able to acquire this retrofitted bus to drive our transactions closer to remote communities, Caindec said. Services included in the e-patrol outreach were issuance of Student Permits for 17 years old and above, renewal of driver’s licenses, printing of driver’s license with a 5-year validity period for original Official Receipt issued by LTO-NCR offices and renewal of Registration of Motor Vehicles with Certificate of Emission Compliance. Other services however have to be transacted at the regular LTO offices.